The 2018 real estate market is hot. Buyers are facing a shortage of inventory and sellers are selling their homes faster than previous years. Some markets are experiencing even greater real estate success with increasing home values, more interested buyers, and an influx of new residents. These are a few of the top booming real estate markets so far in 2018. California has consistently topped the list on most hot market lists. The year of 2018, however, seems to have ended that reign. 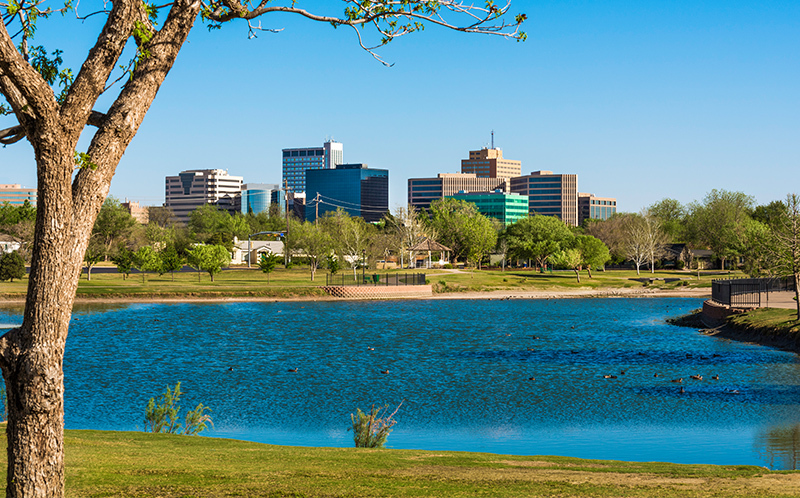 Midland, Texas, now sits as the number one spot among many of the hottest market lists including Realtor.com. The Midland area is well-known for its oil supply and horse lodges. Many believe the boom in the real estate market is attributed to the Permian basin oil surge. San Francisco, California, may no longer be #1 on most lists, but it still continues to be a top contender. San Francisco features a high-end market with a bright real estate market outlook. Area homes are rising higher than ever before to meet the demand of interested buyers in the area. Its most recent peak sits at $784,000 with a steady increase of 12.8% year over year for existing homes. Nearby counties of Santa Clara and San Mateo are seeing home gains as high as 33.6%. Although Spokane has been on many top 10 booming market lists, it has never jumped as far in position as much as it has over the last few months. Buying a home in the current Spokane market is extremely competitive. At the beginning of the busy real estate summer season, Spokane had approximately 500 fewer homes in the market than the same season in 2017. Commercial space is affordable and the downtown area is rapidly growing, making Spokane a great place to relocate. The Boston Metropolitan area is selling real estate faster than the national average. Because the health of the real estate market is often deciphered by the amount of current inventory, Boston is considered to be one of the healthiest markets. Inventory levels have steadily decreased with a 25.13% decrease in the first quarter of 2018. This trend does not appear to be easing up in the first few months of quarter two. San Jose, California, has a higher than average annual number days of sunshine, an increasing job market, and home values are expected to jump as high as 8.9% over the next twelve months. The close proximity to the California tech hub, Silicon Valley, also contributes to its growing market. The area saw record employment peaks in February of this year and does not appear to be declining anytime soon. Although the Canadian real estate market is not always in trend with the United States market, the market in Canada is also currently experiencing a healthy market. While some portions of the country are seeing declines in real estate markets, others continue to trend upwards. Although many tourists see Ottawa as a sleepy, old-fashioned town, the increase of buyers is showing that many prefer this. Prices are consistently increasing, inventory is low, and the area is seeing an increase in international buyers. Additionally, some Toronto residents are fleeing the busy and expensive city areas for the more affordable and quaint feel of Ottawa. Vancouver might have just seen its lowest market in 17 years, but many believe this will adversely affect the current buying trend. Many millennials have been sitting back waiting to purchase in an otherwise competitive and expensive market. Now that home prices are falling and buyers have more buying power in the Vancouver area, the market is expected to see another price jump. The real estate market is constantly changing. A hot market can go as quickly as it comes. Be sure to take advantage of these trending markets now.